Hawthorne & Heaney have been working very closely with Photographer, Sam Faulkner on his ambitious, most recent project entitled, Unseen Waterloo. 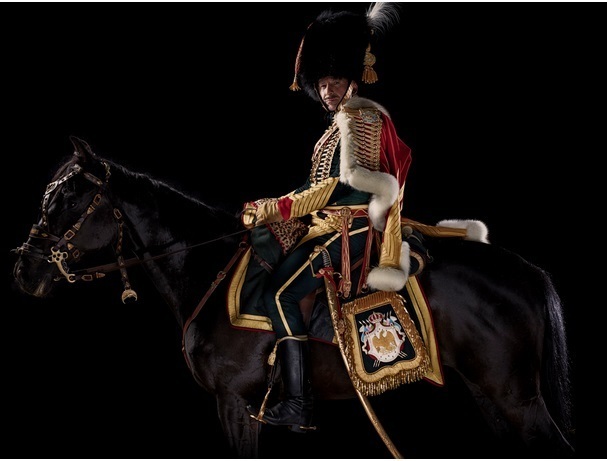 For this project he has created a series of 81 life sized portraits which re imagine the soldiers from the battle of Waterloo, 1815. A painstaking amount of detail has gone into producing these portraits as all the costumes are historically accurate and document the great variety of men who were lost at this battle. 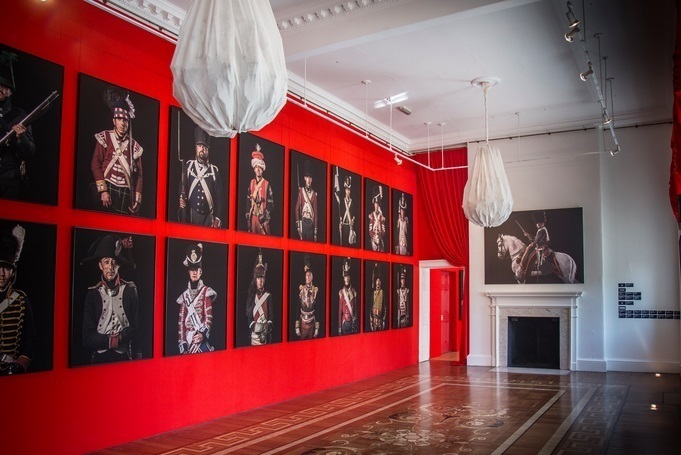 The portraits were hung at Somerset House against a great sea of scarlet red Hainsworth fabric, which is the same cloth used to make the traditional ‘red coat’ uniforms which is still being made in the same way hundreds of years later in the West Yorkshire Mill. Along side the exhibition of the portraits, a book has been created to accumulate the pieces. 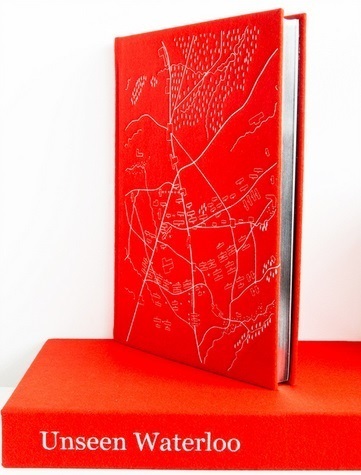 The ‘Thin Red Line’ edition of the book is limited to a run of only 25 pieces, embroidered by Hawthorne & Heaney in silver onto the same Hainsworth fabric and presented in its own embroidered solander box. 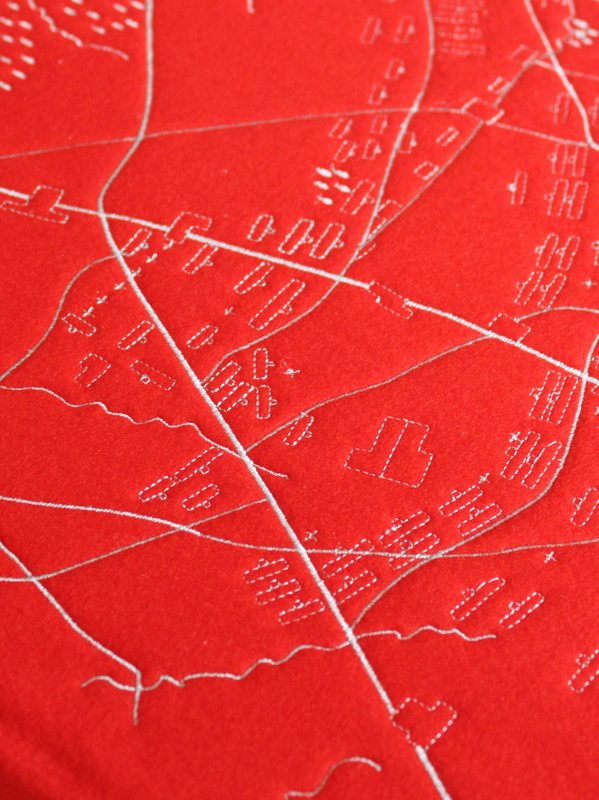 The cover depicts a map of the battlefield of Waterloo using a variety of stitches to represent the different areas and features of the landscape. As a military embroidery company, the collaboration between Hawthorne & Heaney and a project of this nature seemed natural and we are very pleased to have been involved in making Faulkner’s vision, a reality in the anniversary year of such a historic event. If you would like to seem more of the exhibition, Sam Faulkner‘s work or what is on at Somerset House, please follow the links and your curiosity.